Citizens of ASEAN countries (except Myanmar) can visit Vietnam with out a visa for up to 30 days. Philippines citizens can visit Vietnam with out a visa for only 21 days and Brunei citizens do not require a visa if the stay if for less then 14 days. Citizens of few countries can visit Vietnam with out a visa for 15 days. See the image below. All other nationalists need a visa prior to arrival in Vietnam, but can be easily obtained online. Click the image to enlarge. Image source Wikimedia Commons. Vietnam does not provide a visa on arrival, but you can get a visa at the airport. 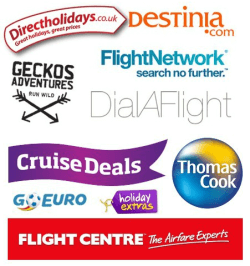 All you have to do is apply for an approval letter online through a travel agency. The travel agency forwards your application to the immigration department. Then the immigration will provide a “Letter Of Approval” which will be forwarded to you on e-mail. Take a print of this and on showing it to the visa counter in the airport, you will get a visa at the airport. Depending on what you applied for, the visa is good for 30 days or 90 days, single or multiple entry. The cost of approval letter depends on your nationality. More over you have to pay USD 45 (maybe USD 100 from January,2013) as stamping fees to the immigration to get the visa stamped in your passport. Remember that the the “Letter Of Approval” is valid only if you arrive by air and not valid at the land border crossings. You can also get a Vietnamese Visa at embassy or consulate located overseas. For address of Vietnam missions overseas click here.